This project is abandoned and its default file will likely not work with the most recent version of StarCraft II. Whether this project is out of date or its author has marked it as abandoned, this project is no longer maintained. Starcraft: Mass Recall has moved! Step-by-step installation guide for downloading and playing the maps. First of all, huge thanks to Ultraling and Maverck for having done most of the work and making this campaign possible. Both of them were awesome about letting me use their stuff to put this thing together. These are originally Ultraling's maps, found here in sc2mapster. I picked them up a long time ago and slowly worked on them, editing terrain, adding all kinds of flavor here and there, including Maverck's Brood War mod, and this is the result. classic unit decals, such as Alpha Squadron, Sons of Korhal etc. Links to the latest versions, by language. You will need both the maps and the mod file to play (see "How to play" below). PLEASE NOTE that for the latest versions and the Campaign Launcher, you will also need the latest (or at least close to latest) version of Starcraft 2. For older versions, check the "Files" section. Done! You can now log into the appropriate account and load the save from the load game-screen. You can use this save to play each episode. You can copy the save file to whatever accounts you want. For example, if you want to play offline, copy it to your guest account folder. If you're unsure of the right folders or can't find the Starcraft II documents folder, log into an account of your choice in SC2, go to the load game-screen, click on a save and click the "show in folder"-button. It will take you to the appropriate saves folder. 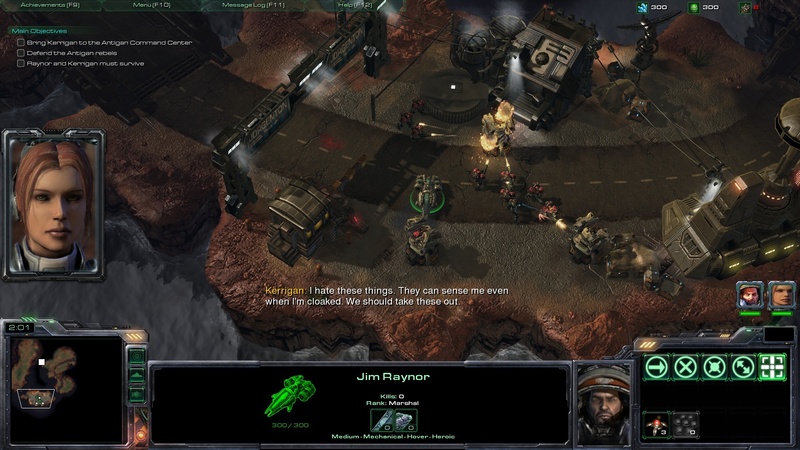 and of course thanks to Hati for his SC2 Localizer, so everyone can play the maps! special thanks to Telenil, christdaugherty, Superfield and Jimm3110 for their enthusiasm and work on the project. PLEASE NOTE that this is a completely unofficial, non-profit, fan-made remake and in no way affiliated with Activision Blizzard. Hi when i try load a map it says "the launch of this game makes reference to mod or map dependencies which are no longer availeble" what is wrong? The link in Kerricun's comment below is our new page. Link added to the project description above as well. Sorry for the delay. We won't be updating these old pages anymore, but you can still get the older WoL-compatible versions here. Also if you happened to get the new version via our temporary Dropbox / Google Drive links, I recommend downloading everything again from the project's home page, the files there include some emergency fixes. I am very confused, I've been watching and keeping up to date to see when the update comes out but I still don't understand where to get it? And it still says that it's awaiting approval? But Roshango says he can get to the download? Sorry if I sound like an idiot but I'm not skilled at seeing something right in front of me (probably). Bypass the download error, gg. Its been over 24 hours, why hasn't it been approved yet? Because Liquipedia lied. I will revert that change next time. You can select Third Person Shooter or "RTS classic" on the briefing screen. is the 3rd person adventure mode for installation missions toggleable, or can a certain trigger be disabled so it doesn't work? I'm totally willing to try it out, but I'm not sure it's gonna be my thing (though from the videos it seems very impressive) so I'd try it out, jst want to know if there's a way to not use it in case it's not my thing. Thanks in advance! PS: Still pending approval? What is there to approve!? Do it mapster! Missile Turret armor increased from 0 to 1. Why? @CraftMasterTheBlackHayate Sounds interesting, let met know when that's done. The update is ready to go and awaiting approval from the site. Might take a couple of hours. We'll have a new project page, keep an eye on the Maps section. Of course, we'll also link to the new page here once it's approved. Don't worry I think I'm doing what you want; I'm adding optional objectives, unused sound clips, overall adjustments to the pacing of the levels. I have half the Terran campaign "done" but I'm waiting for the next update because I'll just have to remake them. Example: on Terran 03 you have to destroy a couple of specific Zerg structures before the timer runs out; there are also some optional Zerg structures you can destroy which will reduce the rate of Zerg attack waves for a limited time. Soon. We're wrapping things up. Stay tuned. Ok babes, give us some lovin'. @Jones313 The ability to disable BW stuff in Classic is a good idea, I didn't create medics in the classic campaigns to keep the original campaigns' gameplay, so I'll use this option.